children’s book writer, discovered writing for children during a writer’s course at Teacher’s College of Columbia University in New York City. Ever since, she has been writing in one form or another. 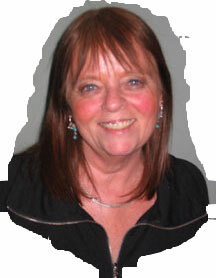 For the past year Donna has been working as a children's book reviewer. Her reviews can be seen in her column called TEACHER'S PETS at SmartWriters.com. These reviews take an interesting twist. Check out the section called Teacher/Book Reviewer to learn more. As a member of SCBWI, the “Host" for the Children's Writers Workshop at the Careers and Workplace on America Online, and the registrar for KINDLING WORDS: the RETREAT, she has met many wonderfully, supportive and helpful writer friends. 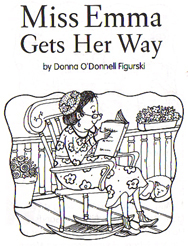 Donna has four stories in the Scholastic Press Literacy Place 2000 anthology. These books are found in classrooms all over the United States as supplementary materials which compliment the reading programs. The third grade titles are A Star Wish, and Miss Emma Gets Her Way. The story in the fourth grade book is called The Legend of the Silver Birch, and Never Going to Grow Up can be read in the book for fifth graders. Donna has also published an activity called Snowflake Snippets in MAILBOX magazine, which focuses on teacher classroom interests. As a 1st and 3rd grade teacher, Donna has an enthusiastic audience for her stories, and she draws many story ideas from her students. Donna’s passion for writing parallels her enthusiasm for teaching and she feels very fortunate that each complements the other. Donna is proud to note that she was nominated for and included in the 2000 edition of Who's Who Among America's Teachers . This was a great honor since the nomination was from a former 1st grade student who was a High School senior at the time of the nomination. 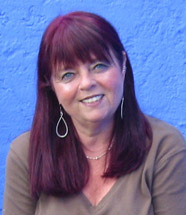 Since this first honor, Donna has also been nominated and included in both the 2004 and the 2006 editions of Who's Who Among America's Teachers. Donna lives with her husband and best friend, David. She has two children, Kiersten and Jared and two grandchildren, Treska and Kaya. People come from all over the world to visit my site. I love to see from where they come. Maybe you will like it, too.